Pick out the perfect color and painters with today’s Vancouver DealTicker deal of the day where for $80 you get $200 worth of Painting Services courtesy of Pure Painters. That’s a savings of $120 or 60% off. You may buy up to 1 voucher for personal use and unlimited as gifts and the vouchers don’t expire for 1 full year. This is a limited 1-day only sale that will expire tonight at midnight (Tuesday, March 15, 2011). Click here to buy now or for more information about the deal. Quantities are limited so don’t miss out! Pure right down to the paintbrush, Pure Painters offers fine quality and eco-friendly painting services in the Vancouver area. Their painters are presentable, professional, prompt, and the perfect option for providing you with unparalleled workmanship. 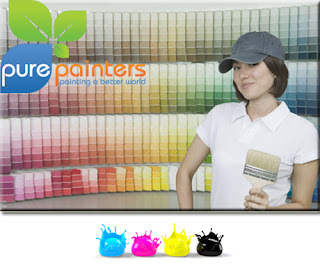 Embracing the West Coast Philosophy, Pure Painters uses ethical paint in order to enhance your personal and community health. Painting a better world, with their 100% commitment to ethical paint, Pure Painters coats your walls with a clear conscious along with naturally beautiful colors. Add the perfect coat of paint to your walls with today’s Vancouver DealTicker and tell friends to put down their paintbrush and head for this colorful and eco-friendly deal.